A while ago, I was asked by someone on Facebook if I could put together a post with some of the money saving/budgeting tips I've shared on Snapchat. I just want to start by saying I haven't been paid or sponsored by any of the companies mentioned in this post, this is how I manage money for our household and this is what I personally do, it's not in collaboration with anyone. If you're an Electric Ireland customer, there's a way you can space out your payments instead of having to pay that dreaded lump sum every 2 months. If you email them on service@electricireland.ie or ring them on 1850 372 372 (8am-8pm Mon-Sat) with your account details to hand, you can request an EasyPay card. They'll send you out a plastic card the size of an ATM card that you can use to lodge money into your Electric Ireland account at the Post Office. We put €20 in every week and we're nearly always in credit with them when the bill comes in - I think our highest bill since 2014 was €45. It's much easier to budget for €20 a week than it is for a massive lump sum that needs to be paid within a few weeks. They also now have an app available that lets you keep an eye on your usage, so you can reduce bills further. * Thanks to Dawn Ryan on Facebook for letting me know that if you have an online account with Electric Ireland, you can make payments to your account too if you can't make it to the Post Office. 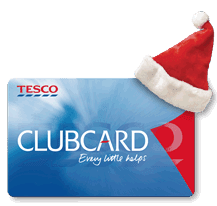 If you're a regular Tesco shopper and you use your Clubcard to build up points, you'll know about the vouchers that are sent out a few times a year. Instead of getting them a few times a year, you can join the Christmas Saver scheme and have them all saved up and sent out to you at the end of November. As well as that, you can top up at the till to a maximum of €360. I started topping up in August last year - even if I didn't do my main shopping in Tesco, I'd nip in and put €5 or €10 (you can put in any amount, from 50c up) and by November I had €153 in vouchers to spend at Tesco. That took a massive amount of pressure off at Christmas - it freed up that week's grocery money for presents, it covered one big weekly shop, plus I stocked up on essentials like nappies, wipes, detergent - all from loose change I'd put in during the year along with my clubcard points and the bonus Tesco give (either €3 or €6) when you top up by a certain amount. You can sign up for the scheme in store, or by phone at 00800 0059 1688 with your clubcard details to hand. The only thing is, I'd recommend keeping a record of what you lodge into the scheme, because there's no way to check your balance. You'll still get money off and extra points coupons with your mailings during the year, just not the cash vouchers. Fancy €260 to spend on something nice? That works out as €5 a week for 52 weeks. You could use that for a bill next January, or to pick something nice up in the sales, or to help with children or an event. The original version of this challenge suggests that you put an amount from €1 to €52 in a jar every week, but there's never going to be a week that I'll be able to save anything above €10 and not miss it. Instead, I save €5 or €4 into a can every week. This is how I was able to afford my Canon camera last January in the sales, there's no way I could have done it otherwise. I haven't started this yet this year, but I'm only 4 weeks behind so I could still have a nice amount saved if I started putting a fiver away now. I tried to do this last year but ended up dipping into it all the time, I'll definitely try and be more rigid this year. Even if you do dip into it, it's really handy to have an emergency can there for an unexpected "teacher says I need €2 tomorrow". This is something I'm very new to, but I recently joined the Shop & Scan panel. The idea is that you are put on a waiting list (I was on it over a year) and then when they need somebody in your area, you're sent out a book and a scanner. You'll need to keep your scanner plugged in at all times, and the data is transferred wirelessly at night. You don't need a phone line or broadband. 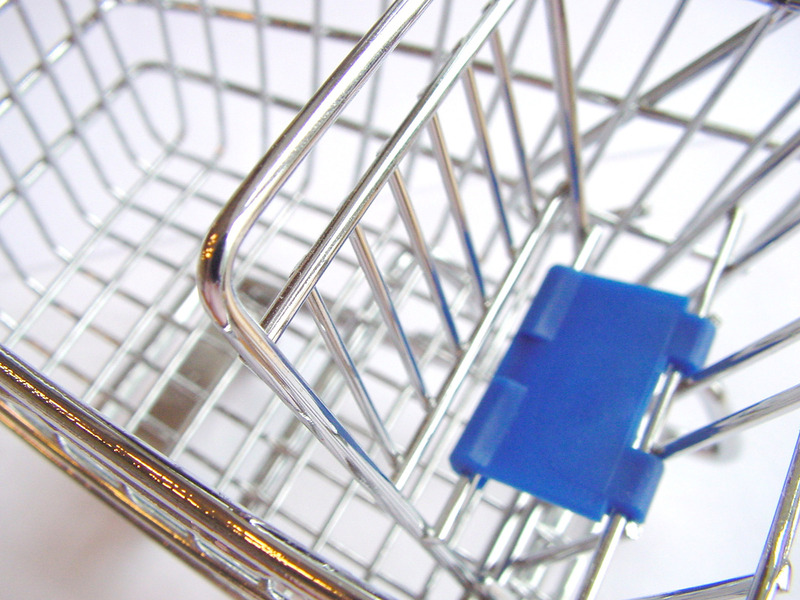 You scan all the barcodes from your grocery shopping, and the data is used for market research. In return, you get points, which are converted into vouchers for a shop of your choice (some available options are Argos, Amazon, Boots, New Look, Debenhams, One for All, Brown Thomas, plus a number of charities). Every 100 points = €1, I've only been a member since November and I've redeemed £30 in Amazon vouchers already (Kindle books sorted for the week year!!). Customer service is great, I've had to contact them a few times when I couldn't get my scanner working and they sorted it straight away. They've also emailed me when I wasn't scanning (I was sick) to check if everything was okay with the scanner. It is tedious, and it's time consuming, but I find if I cross items off my receipt as I'm putting them away I get it done quickly. You don't have to do loads of grocery shopping to receive points, you just have to promise to scan regularly. If you want to find out more, you can sign up at www.volunteer4panels.com. We've had Sky for over 12 years now, and we've never had any customer perks from them. In fact, In 2015, we were still using the old Sky Digital box and dish that had been installed in 2004. We'd never had any money off, despite offers for new customers coming in the door every week. I got annoyed and decided to cancel. They will keep you on the phone for AGES so you'll get tired and hang up - but hang in there, it's worth the price of the call. They don't want to lose customers. In the end, I got a new Sky + HD Box, a new dish, engineer installation, and a reduced package rate for 9 months. For free. Originally I was quoted €50 for a box and another €35 (approx) charge that would be refunded to my account - I refused to pay anything and suddenly they didn't need the €35. If you're finding it difficult to meet monthly payments, ring them up. They do not want to lose you - negotiate a better package for yourself by calling 0818 719 819 and telling them that you'll move to a different provider if they can't help you. If it were up to me I'd get rid of it altogether, Netflix and Saorview are more than enough, but there are others in the house who watch Sky. I have a maximum shopping budget every week. I think it's important to know the price of things you buy regularly, that way you'll always know if there is better value to be had somewhere else. I always bring a list. I start off with nappies and wipes, then work my way around the house. To find out what weekly offers are on, I look at the Tesco and Lidl websites (I don't shop at Aldi for personal reasons). I signed up for a Tesco online account even though they don't deliver my area. I input all the things I want to buy, and I write the prices down on my list. Then, I go to Lidl and I buy everything that comes up cheaper than Tesco, and I get the rest in Tesco. I get my meat and chicken from the local butcher, most of them will be happy to do you a deal if you go in and give them a budget - I go in every 2 weeks and get chicken fillets, mince, diced beef, gammon, etc. This sounds like a lot of messing but it just keeps my spending in line and makes me stick to a budget. Caitriona at Wholesome Ireland does a weekly post every Monday in which she lists all the fresh food offers and some special buys from the main supermarkets. This week's post is here. Hopefully this has given you a few ideas on how I like to save, I got a few comments on Snapchat at Christmas asking me how I could do so much shopping - this is how! Never knew you could top up with the Tesco Christmas Saver, do you top up using your normal Tesco ClubCard? You do indeed, all you need to join is your Clubcard and you can ask at the till to add in any amount from 50c once you sign up to the Saver scheme. Great tips. I do the 'Money In A Jar' or in my case, 'Cash In An Envelope Hidden From Himself And Herself'. That's the only way I can afford bits for the blog! Setting a budget and trying to save on the small things rrrreally makes a difference in the end! Sky is the worst, with them 3 years and have had every package under the sun and the refuse to upgrade my second box for a recordable one for anything less than under 60. Great tips there :) the change in a jar is great.vgit my christmas hopping out of it this year !